Dangerous or defective products cause thousands of injuries and deaths each year. Product liability refers to a manufacturer or seller being held responsible for placing a dangerous or defective product into the hands of a consumer. Product liability cases involving medical devices are often difficult to distinguish from medical malpractice cases; our firm has the experience and expertise to differentiate between these types of actions and successfully litigate both types of claims. Defective medical devices, including representation of several victims of failures related to Shiley Heart Valves. Defective industrial parts and construction equipment. 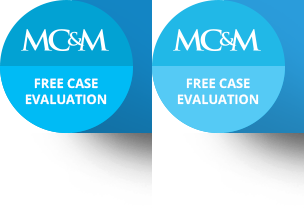 For more information about the law and defective products, visit our Product Liability Legal Information Website, a resource for injured victims sponsored by the MCM Law Firm.